On its own, Five Nights at Freddy's can be a terrifying, tense experience. Now imagine that you're playing against other actual people, and not just computer-controlled animatronics. Sounds like it would be a more intense experience, yeah? While you're trying your best to watch all the cameras, three other people get the chance to try to phase you out, if not scare you. Fazbear Entertainment is a work in progress video game being developed by Omega. 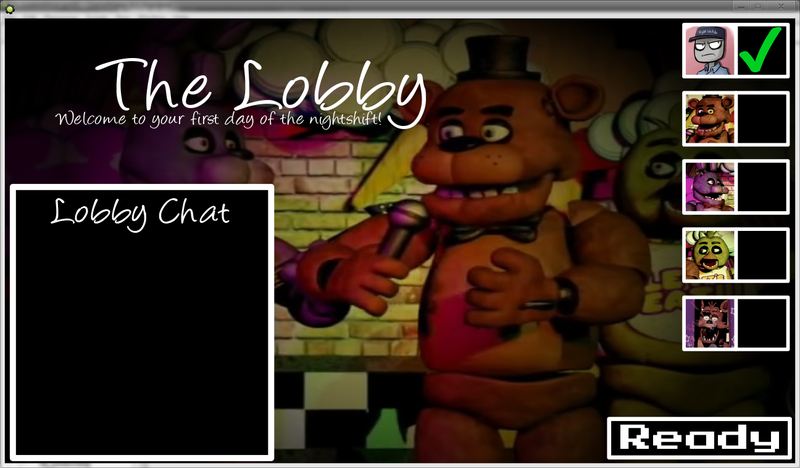 It is a recreation of Five Nights at Freddy's, but with a multiplayer 4v1 format. In the game, there are 5 players per server. All the animatronics, and of course the security guard! The animatronic players, they will drain their own power the faster/more they move. You can replenish in the kitchen or costume room. The free fan game, which isn't being made by the original creators of Five Nights, is still early in development. Still, the concept sounds interesting—there's more of an element of survival when actual people are actively trying to kill you in a game. It might be more fun than the original game, who knows. You can follow along with the development here.